Classic olive drab "army shirts", courtesy of the Austrian Army. 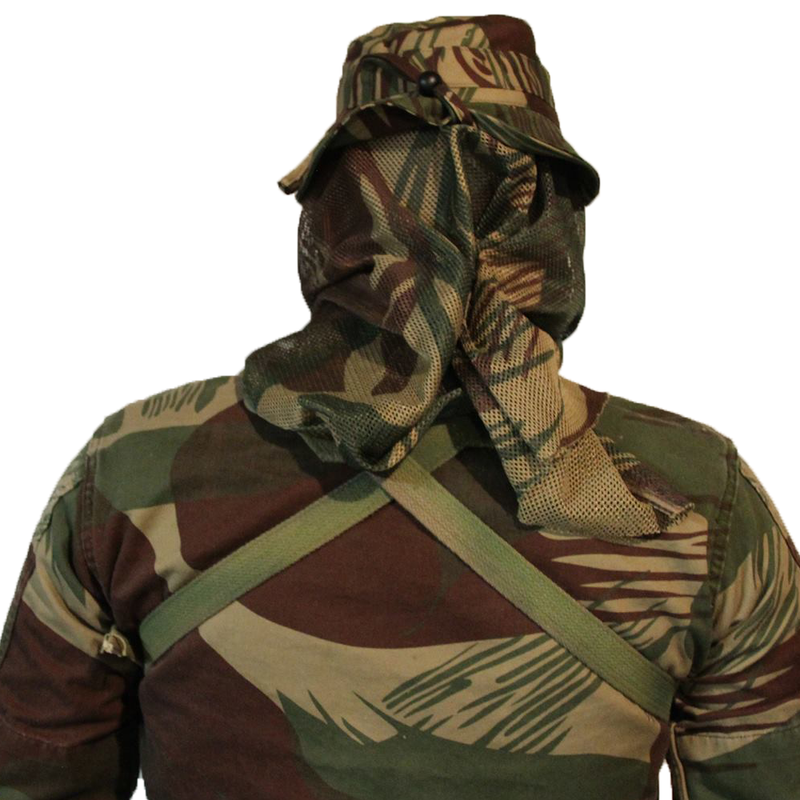 The Austrians are the last Western nation to continue fielding olive drab as it's standard issue field uniform, but this is slowly be phased out in favour of a digital pattern. These shirts are slightly older 1990s era cut shirts, that have since been replaced by a more modern cut uniform similar to a BDU cut. 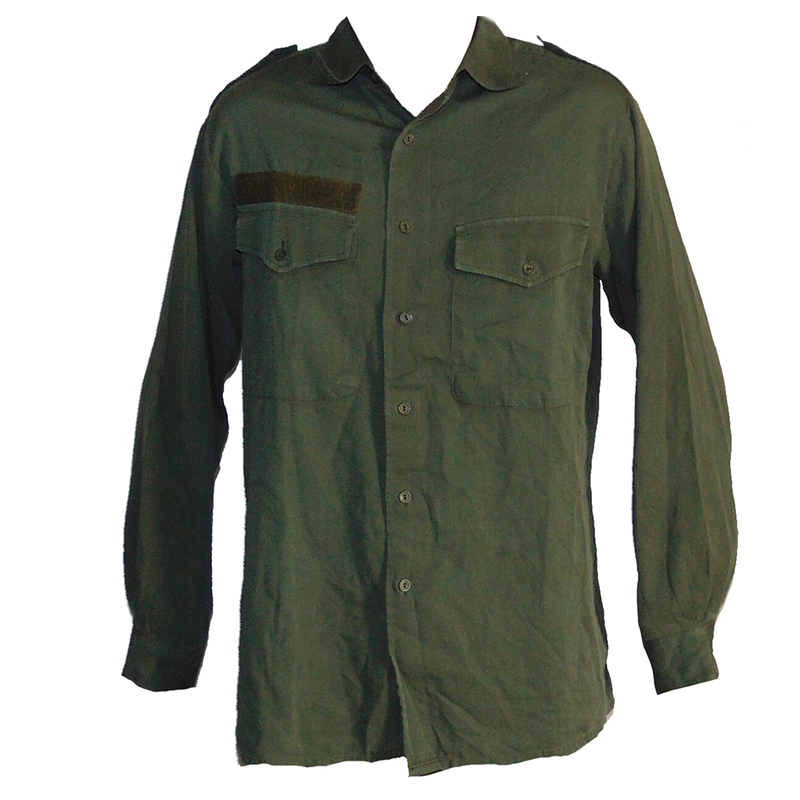 This phase out of the classic olive drab, means an excellent dirt cheap shirt for you! These shirts are manufactured with a 65% cotton, 35% polyester fabric making it exceptionally lightweight and comfortable. They feature two shoulder epaulettes, two breast pockets, and a velcro name tape. 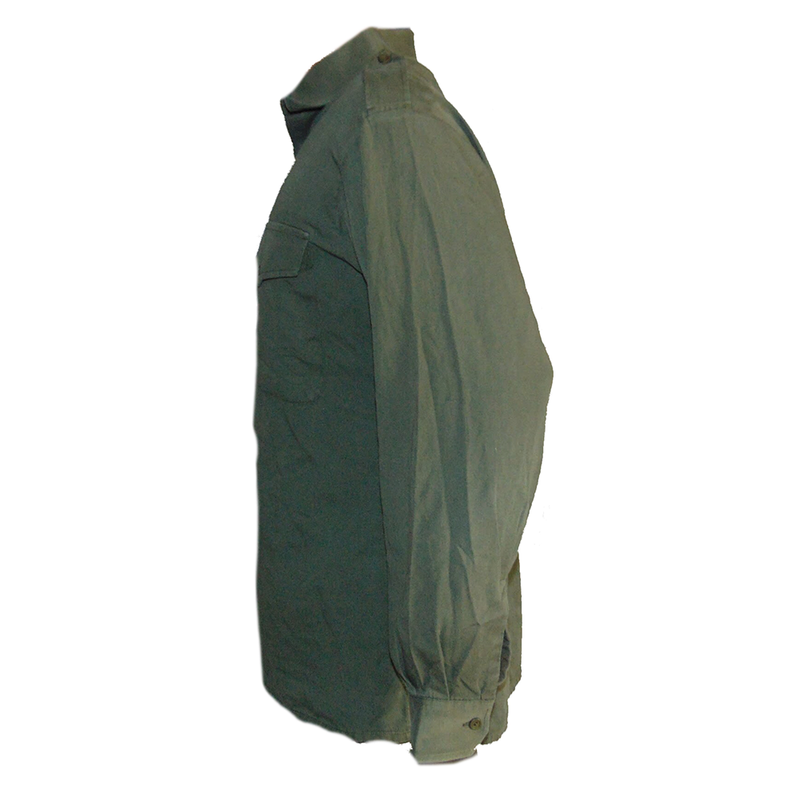 These remarkable simple shirts are an excellent field shirt, fitting well with any webbing, or can be simply worn as an every day work shirt. Some may feature the "Osterreich" eagle emblem of Austria, but this cannot be guaranteed at this time. VERY light and breathable - pretty good for a long sleeve shirt. A keeper for going out for a drink or chilling with mates.